The show was not supposed to be realistic. The Dukes would frequently get themselves out of jams with dynamite and a bow and arrow. Part of the fun of the show—in addition to waiting for scenes featuring their short-shorts-wearing cousin, Daisy—was the slapstick nature of the relationship between Boss Hogg and his sheriff, Rosco P. Coltrane. 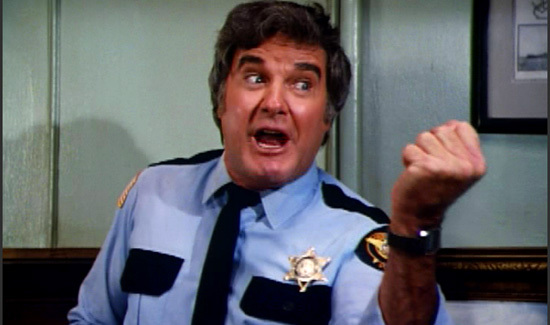 Sadly, the actor who played the bumbling sheriff, James Best, has passed away. But that wasn’t the point of the show or the character. He was supposed to be goofy and hapless. And nobody could portray those traits better than Best. He’ll be missed.